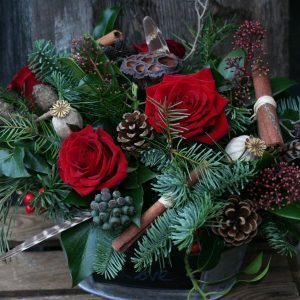 The air is filled with the distinct fragrance of spruce, holly and cinnamon. 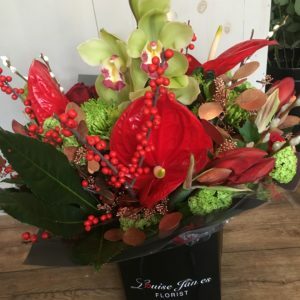 Our seasonal designs can be given has gifts; handtied bouquets, arrangements, plants and planted arrangments. They can also be used to decorate your home. 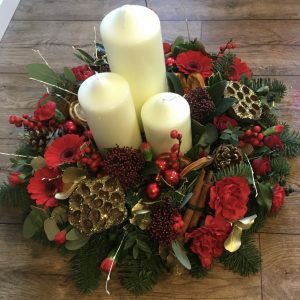 From the welcoming door wreath, the atmospheric table or fireplace decoration or a stunning vase of flowers. All of which help create the ambience of Christmas. 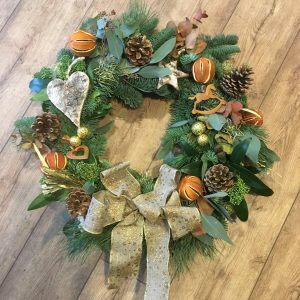 All our designs, both for the house and for gifts can be finished with a festive addition; alike complimentary ribbons, festive sparkle, decorations and seasonal articles – cones, berries and cinamon sticks and many more.